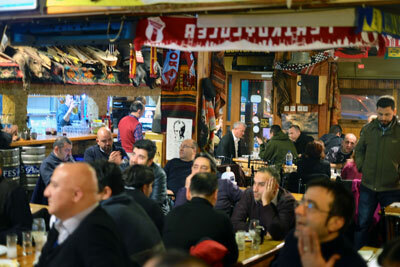 Convincing someone to accompany you to Istanbul’s Pendik district is no small feat. The Asian-side suburb is located in the far eastern reaches of the city, a trip of at least an hour and a half from the city center requiring no less than three metros and a cab. We’ve been met with moans and groans upon mentioning the name, as the district is synonymous to many with the wildfire-like urban sprawl that has engulfed Istanbul over the years. Those up for the journey, however, are rewarded handsomely at Lipa, a meyhane serving Bosnian specialties. The neighborhood of Sapan Bağları is home to a large population of natives from Sandzak, a predominantly Bosnian Muslim region now split across modern-day Serbia and Montenegro.